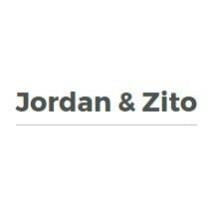 Located in Chicago and serving clients throughout the Chicago metropolitan area, Jordan & Zito is a law firm experienced in drafting, modifying or dealing with business contracts and contract disputes serving the needs of a small business and mid-sized and large businesses of all corporate structures. The firm's lawyers bring together decades of experience, giving clients the benefit of strategic thinking, creative solutions and vigorous and effective representation. We are aggressive and practical lawyers with the capacity to make deals work whether negotiating contracts or handling complex litigation involving multiple parties. The firm is recognized for our success in handling actions that other law firms often do not have the professional capacity to accept. The firm applies common sense and strategic thinking to represent plaintiffs and defendants in business litigation ranging from simple partnership disputes to complex commercial bankruptcy representation. We take pride in being cost-effective, and will work with clients under alternative billing arrangements. Call 312-854-7181 to arrange an opportunity to meet with one of our attorneys to discuss your business and commercial law transaction or litigation matter today.